There is considerable variation in incremental circulating 25-hydroxyvitamin D (25OHD) levels on vitamin D supplements, even when similar age groups and identical vitamin D doses are compared. We therefore aimed to investigate the importance of body weight for the dose–response relation in circulating 25OHD. 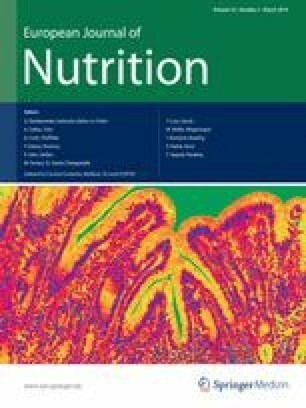 We performed a systematic review of randomized placebo-controlled vitamin D supplementation trials in all age groups ≥10 years to clarify the influence of body weight and other parameters on incremental circulating 25OHD levels (difference between baseline and in-study values) in vitamin D-deficient and non-deficient individuals. We included 144 cohorts from 94 independent studies, published from 1990 to November 2012, in our systematic review. There was a logarithmic association between vitamin D dose per kg body weight per day and increment in circulating 25OHD. In multivariable regression analysis, vitamin D dose per kg body weight per day could explain 34.5 % of variation in circulating 25OHD. Additional significant predictors were type of supplement (vitamin D2 or vitamin D3), age, concomitant intake of calcium supplements and baseline 25OHD, explaining 9.8, 3.7, 2.4 and 1.9 %, respectively, of the variation in circulating 25OHD. This systematic review demonstrates that body weight is an important predictor of variation in circulating 25OHD in cohorts on vitamin D supplements. Our model provides an estimate of the daily vitamin D dose that is necessary for achieving adequate circulating 25OHD levels in vitamin D-insufficient or vitamin D-deficient individuals/cohorts with different body weights and ages. The online version of this article (doi: 10.1007/s00394-013-0634-3) contains supplementary material, which is available to authorized users. AZ has received speaker honoraria from DiaSorin, Germany, and Abbott, Germany, two companies that provide test kits for 25-hydroxyvitamin D measurement. None of the other authors has a conflict of interest to declare.